Synopsis: This is the tale of dying man who hasn't had a good relationship with his son, who believes the father to be a liar. The son comes home in his fathers last few months and tries to understand his father better by finding out whether the stories that his father has told are true or false. While gathering the truths about his fathers past, the son learns to appreciate, respect and love his dad again. 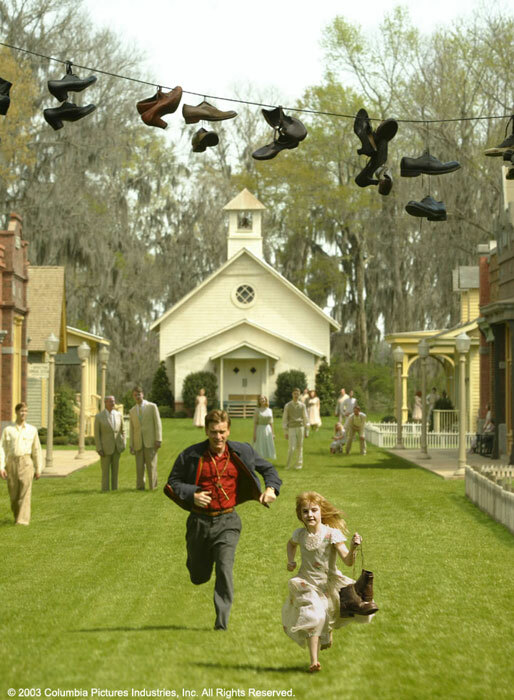 Big Fish isn't a typical Burton movie. There are some weird parts that are somewhat trademarked by Tim, but the thing I like about it the most is how Burton is able to leave his niche of darkness and bring a light-hearted comedy to the screen. This shows his versatility as a great director.